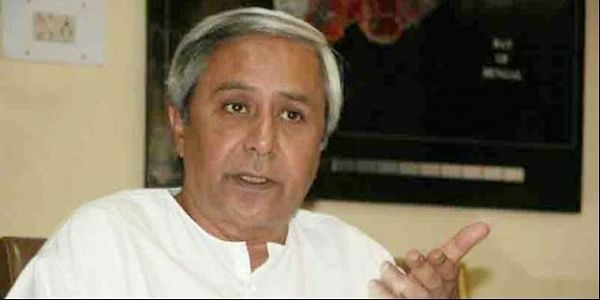 Chief Minister Naveen Patnaik on Monday launched pilot project of one of the world's largest slum land titling projects at Chhatrapur in Ganjam district. CHHATRAPUR: Chief Minister Naveen Patnaik on Monday launched pilot project of one of the world's largest slum land titling projects at Chhatrapur in Ganjam district. The scheme will benefit one million and be implemented in 2500 slums of the State in phases over next one year. In the first phase, land rights were provided to 2,000 slum-dwellers of nine urban local bodies of Ganjam and Puri district. Naveen handed over the land right certificates to the beneficiaries in the presence of Chairman of Tata Trusts Ratan Tata, renowned architect Lord Norman Foster and land right activist Gautam Bhan Ratan Tata praised the State Government for the path-breaking scheme under which beneficiaries in NACs will get 600 square feet land while in municipalities, 450 square feet. In municipal, the slum dwellers will get 300 square feet for residential purpose. Describing the decision as historic in India, Naveen said, Odisha has shown the way to the entire country in empowering the slum-dwellers. This would give them the right to live with dignity. “As Chief Minister, I would ove to see Odisha in the vanguard of creating this brave new world and do everything to make it possible,” Naveen said at Chhatrapur. The Chief Minister lauded the Tata Trust chairman for supporting such a historic initiative which he said would go a long way in eliminating social inequality. While the Tata Trust would provide technical support for the project, Lord Foster would lend a hand in re-designing and converting the slums into liveable habitats.